Whether you’re brand new to the world of packaging, or just looking for a quick refresher, you’ve definitely come to the right blog. As part of an ongoing series we call Words Worth Knowing, we’re laying down the foundations you’ll need to make the right choices for buying packaging. What’s the best part of all this? It won’t take more than 5 minutes to give you the basics on any one packaging subject. We’ve covered corrugated boxes (more than once), bubble cushion, packing tape and lots more. So, let’s dive into the basics of using foam in your customer orders. Here’s 5 types of foam you and your packing team should absolutely know about. 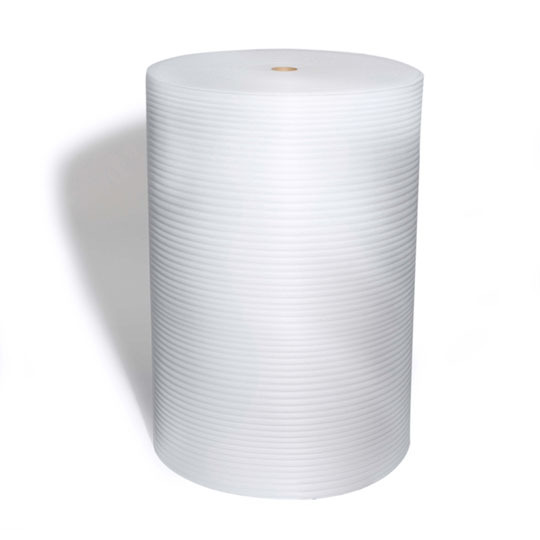 Bubble cushion is often the first thought when it comes to void fill and product protection, but packaging foam has some distinct properties and uses of its own. Delicate and valuable objects like dishes and vases benefit from shock absorption during shipping, while electronics and anything with a screen or glass components will benefit from foam’s non-scratching surface protection. It’s also moisture resistant, which can be of great help if a shipment contacts with any liquids. Though there are plenty of void fill options, many can build up friction over time. If you’re shipping electronics like cameras, laptops, or individual components, static charge can have real consequences for your products. 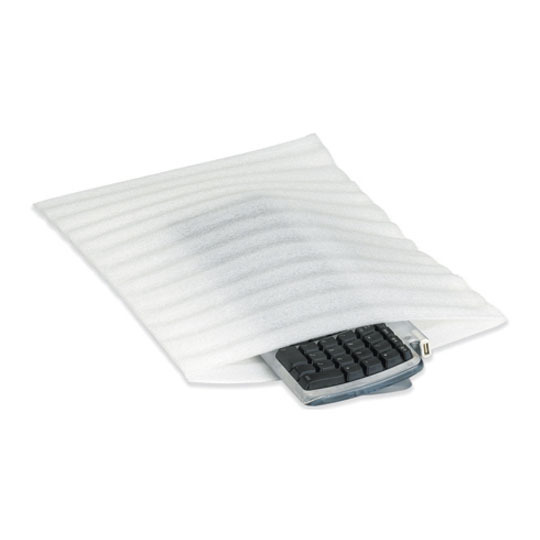 Anti-static foam helps to reduce static build-up and protect items from potential discharge. 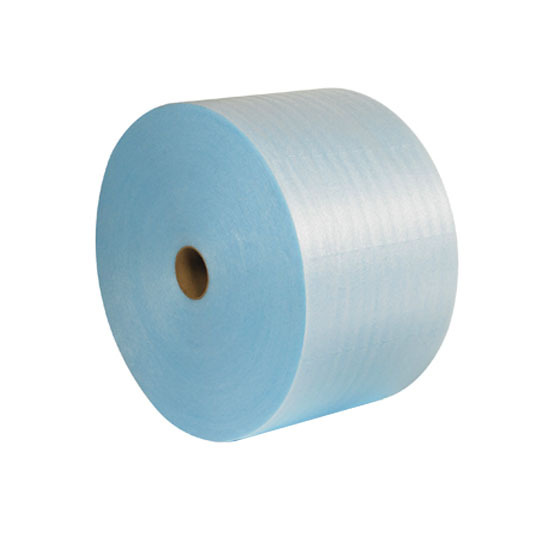 Available in rolls for bulk use, it can also be purchased as pre-assembled bags. 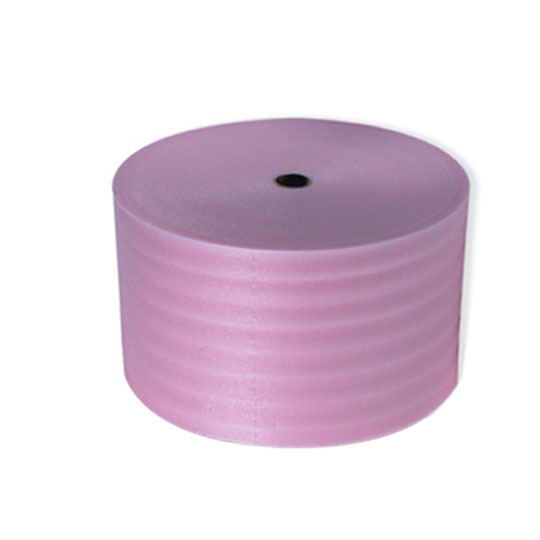 Cohesive foam adheres to itself, meaning you can secure it to a product without the need for packing tape. This also means you’re essentially able to create your own foam pouches for shipping products, which is an ideal capability for any packing team to have. And don’t worry, cohesive foam only sticks to itself, not the actual product, meaning there’s no residue left behind to dirty it up. Bubble cushion is also available with cohesive properties, should you ever find yourself in need of that, too. These light-weight bags are an ideal way to ship products and components. Sealed on three sides, they make packing an easier and quicker affair, especially in high-volume operations. 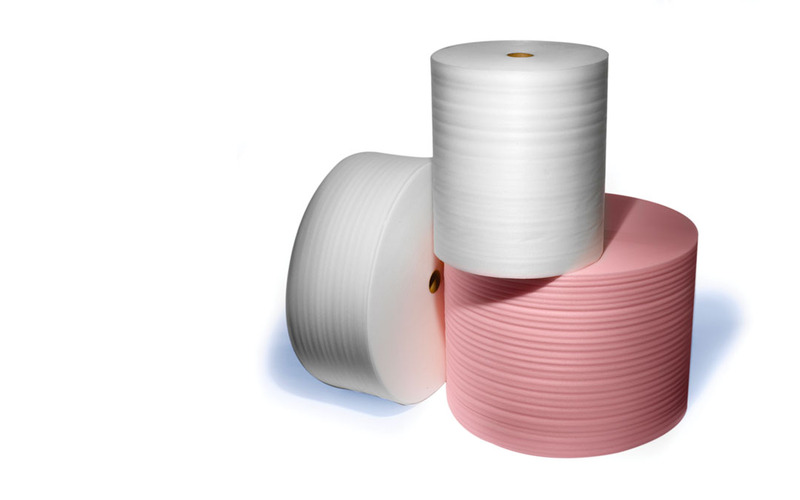 They can be made from any of the available foam options, including anti-static or cohesive properties, and provide the same protection as foam cut from a roll. Some pouches even have a peel-and-seal adhesive strip that creates a secure closure. They’re hard to beat when it comes to convenience and speed. Packing foam is mostly sold in large rolls. It’s a cost-effective way to provide as much foam to customers as possible, while also ostensibly being easy to store and ship. Though it’s also often perforated for easy detachment, a large roll can be unwieldy while trying to move it around a room. 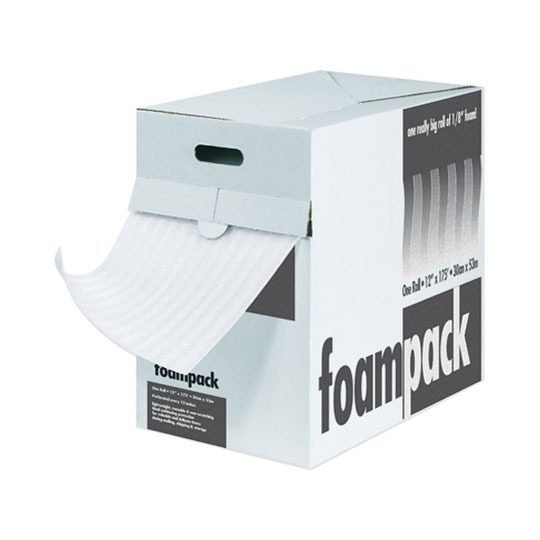 Foam dispenser boxes help to solve those issues, housing a roll of packing foam in a lightweight box that’s easy to carry around. With the foam perforated every 12”, you can grab what you need and tear it at the next perforation line. This saves you time, reduces packaging waste and maximizes the amount of material you have available for your projects. You’re now 5 minutes more in the know when it comes to buying foam—we hope the lesson’s been pretty painless! For more words worth knowing, and coverage on plenty more packaging and e-commerce topics, be sure to visit our Knowledge Center. And don’t forget to stick with The Packaging Company for all your packaging needs. Any other words worth knowing you’d like to see? Be sure to let us know!